If you live in the Tampa Bay area, you know aggressive driving can be a real problem. If you are injured by a reckless or aggressive driver in or around the Tampa/St. Pete region, you need skilled legal representation right away. Insurance companies fight hard to avoid liability for the bad actions of their drivers. Due to Florida’s no-fault law, you may even need help getting your own insurance company to pay for your injuries. Ultimately, if you have been hurt by an aggressive driver, it is in your best interests to contact a lawyer immediately. Aggressive driving is a tough thing to define, because it’s somewhat subjective. What one person considers assertive may make another person feel threatened. However, there are some good signs you can use to tell if someone is driving aggressively. Here are 5 of the most common types of aggressive driving. #1 Driving well above the speed limit. Speeding is not necessarily aggressive driving, but if the person is going 10 MPH or faster above the posted limit, he or she may be an aggressive driver. This is perhaps the most iconic, telltale sign of reckless or careless driving. Some motorists enjoy the thrill of buzzing in and out of traffic to “get ahead.” This can be deadly. Another terrible bad driving habit is following people too closely. Drivers do this for three reasons. First, they may not even notice they are doing it. Second, they may be impatient and think getting close to a person will make them move aside. Finally, some drivers use it as a threat or intimidation method. Running red lights, blowing through stop signs, racing to beat yellow lights, and other reckless behavior can all result in fatal collisions. If you’ve ever had someone violate the right-of-way at a 4-way stop or while merging on to an Interstate ramp, you know how this feels. Whether you realize it, many drivers may be operating without a license, without insurance, with warrants, or even while skipping bail. People may be drunk or impaired by drugs or prescription medications, or they may be dealing with severe mental or emotional disturbances. If possible, move over and get out of the way. Let time pass. Let them go. Avoid any hand or arm signals. Keep your hands on the wheel and drive. Do not challenge or confront the other driver. You never know what that person is dealing with. He or she could be on a suicide mission or be armed. If you perceive a real threat or the driver begins obviously following you or intimidating you, call 9-1-1 and report what you have seen, then drive to the nearest police or public safety location you can find. Do not drive directly home. 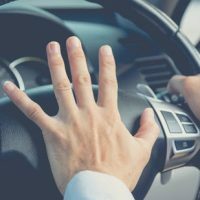 Injured by a Road Rage Driver? If you’re injured by an aggressive driver, immediately call the police. Report what happened. Give the police the license plate number, a description of the other driver, and what happened. Do not engage the other driver. Explain calmly that police and EMS are on the way. Stay in your car and remain on the phone with 9-1-1 until help arrives. Once you’ve received emergency medical care and you are able to do so, contact an experienced personal injury lawyer who can help you with your insurance claim, so that you are fairly and justly compensated for your injuries. Call Roman & Roman, P.A. in Clearwater for a free consultation today.